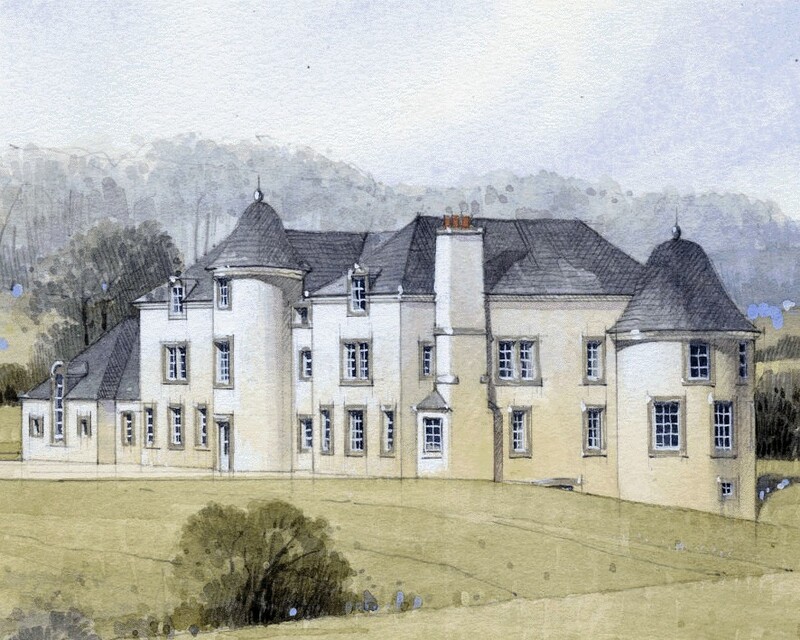 This project was to create designs for a grand and substantial new build country house and rural estate on a magnificent site on the southern edge of Loch Lomond in the Loch Lomond and Trossachs National Park, near Gartocharn. Designed in a traditional architecture style, influenced by the impressive-scale work of 19th-century Scottish architect Sir Robert Stodart Lorimer, but with interiors laid out to suit 21st-century living. From a process of looking at many existing large houses and designs our client came to us with clear ideas of what he felt was important in a traditional-looking new build country house. Through a process of sketch the design evolved into a castle-like house. The project is on hold at the moment.